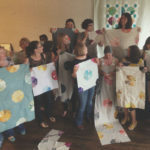 Lizzy House's career as a fabric designer brought her more than a creative outlet – through her work as a quilting instructor she has traveled the globe. 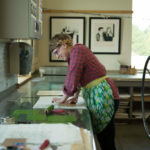 Lizzy House is a designer that I have watched from afar for years. 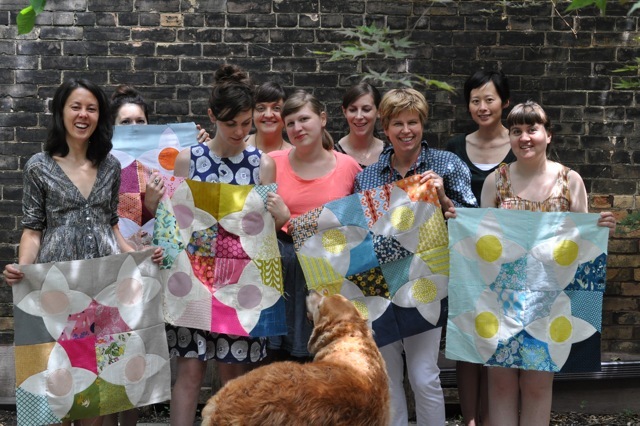 She was a fixture in the fabric industry, creating playful prints in extraordinary color palettes. One collection in particular, Castle Peeps, was a favorite of mine. The geometric quality of the prints reminded me of Eyvind Earle’s design for Disney’s Sleeping Beauty, with a hearty dose of Mary Blair-inspired color thrown in. Interviewing Lizzy was a bit of kismet. She was visiting town to teach a class on essential oils and very graciously let us take up some of her time in Kansas City. 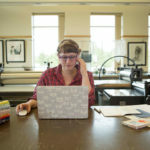 I hated to infringe on her schedule, but I had an inkling that her’s would be a particularly interesting and inspiring story – a hunch that turned out to be true. 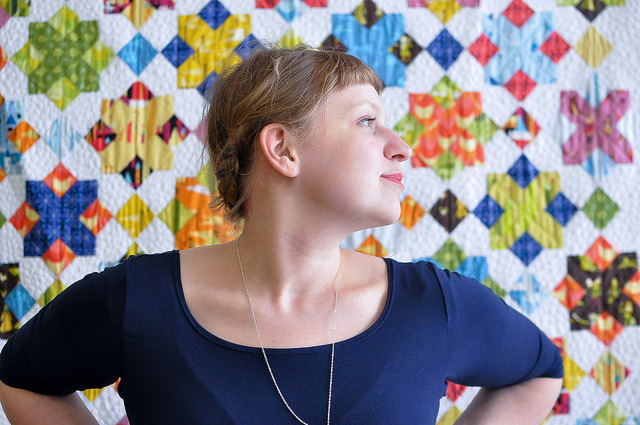 During our chat we talked about how time spent in fabric stores with her quilt designer mother, Cherri House, left a huge impression on Lizzy and filled her with an unshakeable determination to be a fabric designer. 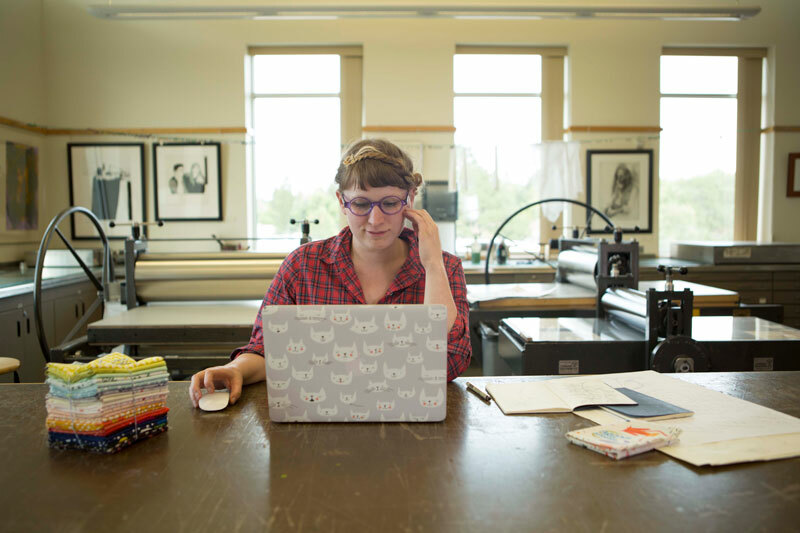 We also discussed the enormous impact that traveling the world and teaching has had on her life, how she eventually became burned out with fabric design, and her journey back to creativity. 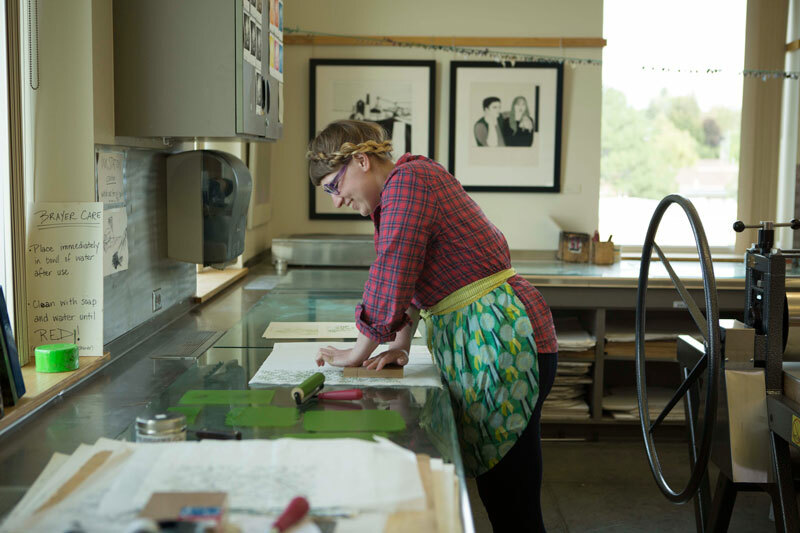 Lizzy House: See Lizzy’s new work and learn about her upcoming workshops! 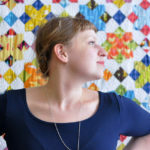 @LizzyHouse: Follow Lizzy on Instagram to see her current projects which include sewing, ceramics, gardening and more! Essential Oils: Lizzy has been working with essential oils and is traveling to teach others about them. Learn more about what essential oils are and how they are used here. Andover Fabrics: Lizzy’s fabric designers were manufactured by Andover and some of them are still available! I loved the Lizzy House podcast. This was my first listen to your work. You are doing good work…Thanks! Thanks so much for listening to the podcast – you picked a good episode to start with, Lizzy had some amazing words of wisdom. I hope you will work your way through our other episodes, and keep an eye out for our new season, coming after the first of the year. Thanks so much! !